As any interior decorator knows, a decorative wall panel can liven up a dull room with a splash of unexpected color or texture. 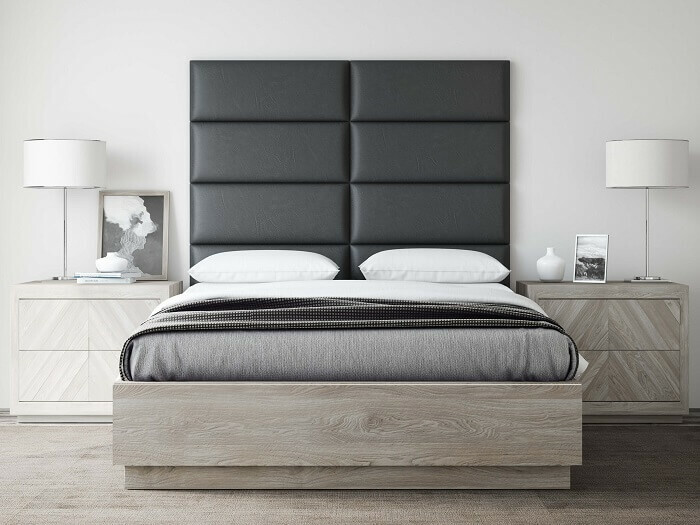 It can be a small statement piece or an entire wall that silhouettes the room’s best furniture. When shopping for decorative wall panels, user-friendliness is crucial. Weight, longevity, and ease of installment are just as important as appearance. These panels are decorator’s favorites, ranked by real customer reviews. They come in many sizes and styles, but they’ve all been put to the test. 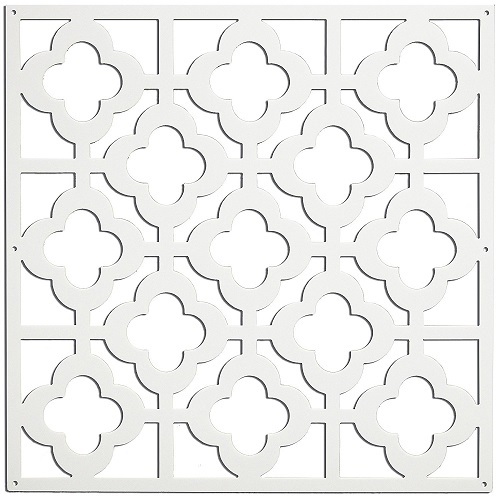 Here are best decorative wall panels ordered from favorite to least favorite. 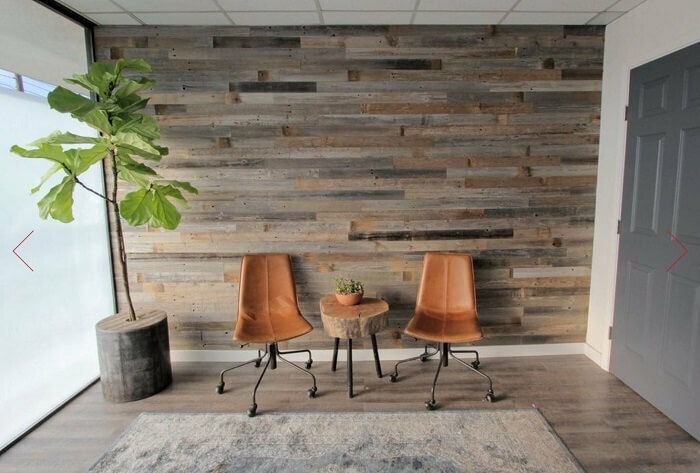 These rustic wall panels vary in color and texture as they are made of 100% salvaged barn wood. Adhesive strips on the back allow users to peel and stick the panels onto the wall easily. They are available in 10, 20, or 40 square foot sizes, from $115 to $395. Every piece is crafted by hand for an authentic appeal. All holes in the wood are covered from the back. Therefore, the wall behind will not show through. There is a wide range of options when it comes to Vänt rectangular wall panels. They come in 13 different colors, four finishes, and two widths (30″ and 39″). Each order contains four panels that snap together via a SimpleMount system to form a 46″ tall column. After the base panels are assembled, users can add more panels in groups of two or four. Individual panels can be easily removed for cleaning. Decorators can mix and match colors to create unique decorative wall panels. Dramatic three-dimensional patterns distinguish these panels. They are made of recycled bamboo fiber. One Art3d pack has 12 panels that cover 32 square feet altogether. The panels can be affixed to a wall with all-purpose adhesive glue. Eye-catching designs include waves, weave, and diamonds–all matte white. As a result, users can paint them any way they want. Lightweight and environmentally friendly, these panels easily cloak an ugly wall and have an interesting effect under strategically placed lighting. These wood sculptures serve multiple purposes: they are decorative wall panels, screen dividers, and artistic room decor. They come in sets of two. All Deco 79 panels are carved and painted differently. Moreover, they all have rust-free hinges and smoothed top and bottom edges for gentle handling. At $62.08, these well-crafted, durable panels are cost-efficient. They are 36″ tall and 12″ wide. Brushed nickel, crosshatched silver, and chrome are just three of multiple finishes to choose from in the Fasade wall panel line. They are made of decorative vinyl that will not corrode, rust or stain. At four feet by eight feet, the panels cover a lot of space. Nonetheless, they are still flexible and lightweight. To cut and install a Fasade panel, a decorator must use a tape measure, scissors, and PL tube adhesive. A set of 12 square 19.6″ by 19.6″ Board Art panels covers a substantial amount of wall space. The resilient panels are made of sustainable organic fiber. Their simple white color allows decorators to sponge, paint or spray them as they wish. The panels come in six elegant textures: Feelings, Maze, Bladet, Echo, Ripple, and Spring. They are non-combustible, so users can install them near the fireplace. 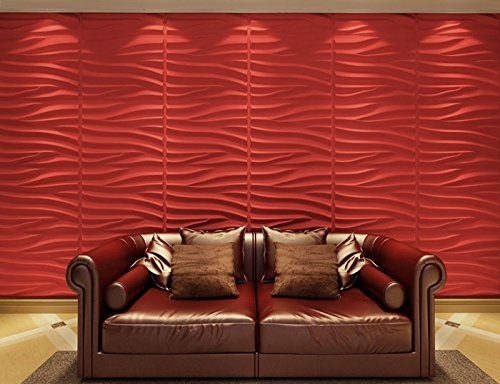 Because they absorb sound, these decorative wall panels are well suited to home theaters. Decorators who seek a restored vintage look will appreciate this panel. Its rectangular wood frame resembles an old-fashioned door. An intricately carved circle wood with a metal accent in the center, and above and below it are strips of metal curled into designs. This panel will last a long time. Its wood is only an inch thick, and it measures 12″ by 58″. The metal scrolling can double as a place to hook small items. 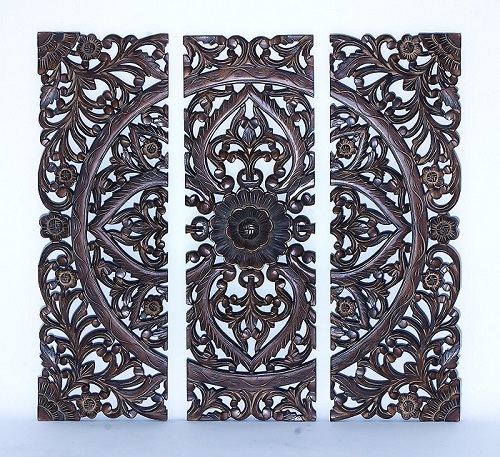 The three decorative wall panels that come with this set are each 36″ long and 12″ wide. Although they can be installed in different rooms, when aligned next to each other, they form a larger pattern with embossed vines and flowers. 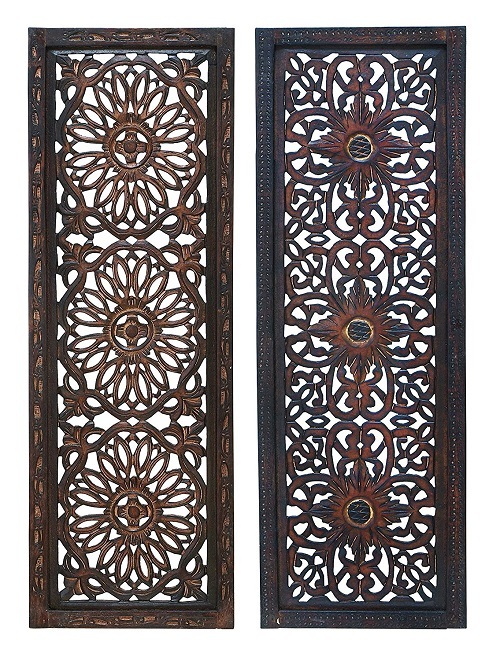 The Benzara panels are ornately carved and have a rich, dark finish. Despite their robust appearance, they are very light. 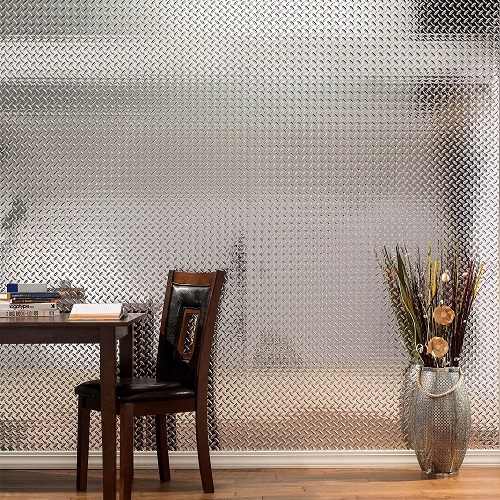 Home decorators will get a lot of use out of these inexpensive square panels. They can hang them up as wall art, put them over their windows as screens, or connect several of them with a C-hook to make a room divider. The matte white 15.75″ by 15.75″ panels are made of lightweight vinyl. They feature an easy “peel and stick” hanging mechanism. Buyers get a box of six panels in one of many funky designs. They’re light– each is made of plant fiber and weighs only about a pound. They are paintable so that owners can obtain the exact look they wish. 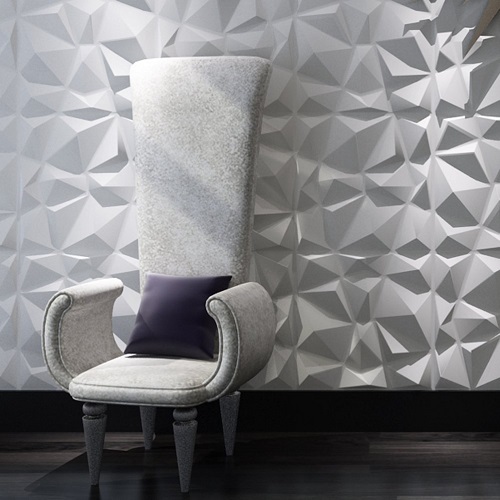 Three-dimensional patterns pop out from the wall, making it the focal point of the room. Wall panels have long been a staple of great living rooms. They cover up imperfections in the wall, divide areas, and add flair without taking up precious space in the room. From favorite to least favorite, these ten popular panels were chosen thanks to hundreds of discerning decorators. Which is your favorite? Where would you put a decorative panel in your home?